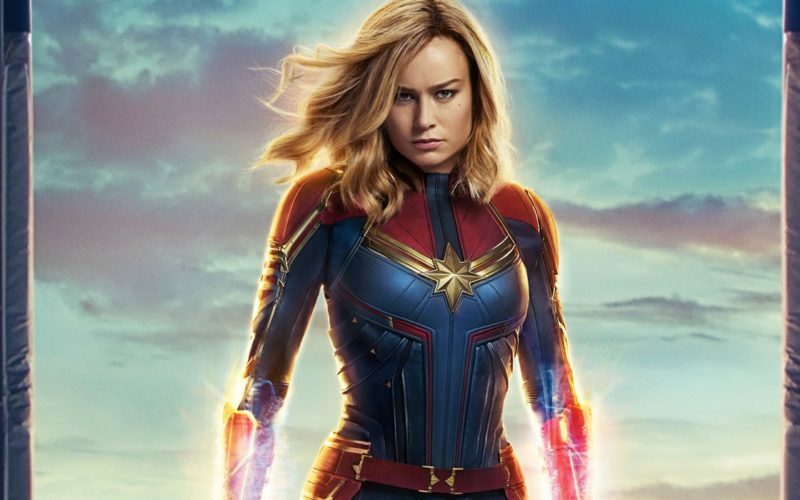 A solid entry, somewhat cookie cutter entry into the Marvel cinematic universe with strong performances that make it a cut above most other Marvel origin stories. The ridiculous premise that had Jason Voorhees being cryogenically frozen because he was able to heal himself like Wolverine. The low-budget film set that looked like it was leased from that miserable Kevin Sorbo television show Andromeda. The wardrobe that in no way tries to be futuristic and just assumes that everyone in the year 2455 dresses exactly as they would have at the 2002 MTV VMA show. One of the most absurd kills you will ever see in a horror movie — and it involves a sleeping bag. Embarrassing CGI effects that are somehow WORSE than the aforementioned miserable Kevin Sorbo television show Andromeda. The premise of Jason X is simply Jason in space. That’s all it took to get this greenlit with a budget only slightly bigger than the first SEVEN Friday the 13th movies combined! It’s hard to believe that much money was spent on this film. It is awful and not worthy of a viewing. Not even in a group of friends. It’s not funny bad. It’s just bad. I can only assume Kevin Sorbo got super rich off of this. Garrett and Carson argue over whether First Man is one small step or one giant leap. 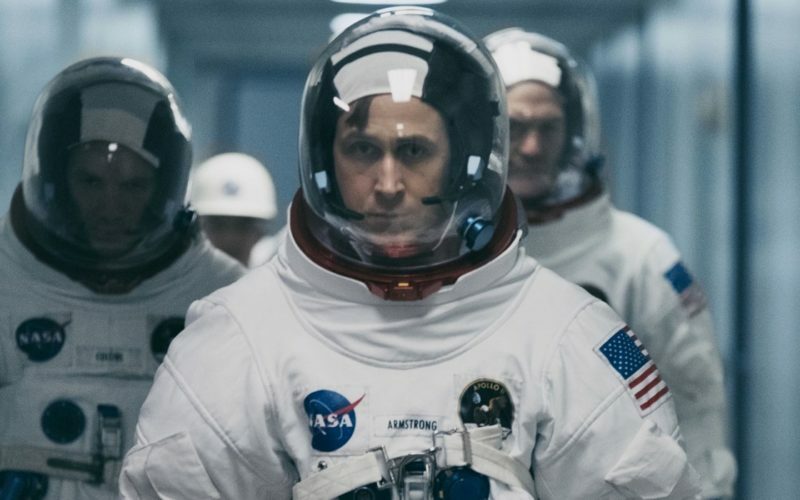 First Man is director Damien Chazelle’s attempt to prove that his success is not limited to translating sheet music to the screen. Having earned Oscar nominations for his first two music-based films Whiplash and La La Land, he has now turned his artistic eye to the night sky. More specifically, the moon. First Man explores the life of Neil Armstrong from a small, personal perspective as a husband and father to the infamous public view as the first man to walk on the moon. From a technical standpoint, First Man is both gorgeous and masterfully assembled. Every shot in every scene feels purposeful. From a tender family moment on Earth to the opening of the hatch on the lunar module, the attention to detail is ever present. The sound design is some of the best you will ever encounter in a theater and demands to be heard in Dolby/IMAX. The roar of rockets at lift-off, the chattering of a cockpit in orbit, and the brilliant score by Justin Hurwitz all come together to form an audible landscape that may arguably surpass its visual counterpart. The mission-related scenes — whether in space or on Earth — are riveting. It is a credit to Chazelle’s directing abilities that he can take events with widely known outcomes and still convey a sense of dread and fear. Every trip inside a cockpit is a white-knuckle, tense viewing experience. He is able to achieve this through a filming style that is diametrically opposed to most space movies. Films like 2001: A Space Odyssey and Interstellar want audiences to be in awe of the grand vastness of space. Each of those is attempting to convey the need for humanity as a whole to go beyond our limits. First Man wants the audience to feel the claustrophobic nature of what it was like to be a single man hurtling through space at mind-boggling speeds in a tin bucket. Something that even the award-winning Gravity did not achieve as successfully. Chazelle accomplishes this by eschewing traditional space movie techniques of showing the ships from the outside. Instead, he confines the spaceflight scenes to cockpit and point-of-view perspectives. One of the few times this technique is broken — rightfully so — is on the moon which is a truly awe-inspiring piece of set design. Surprisingly, the only area where this film feels less than perfect is the strength of Chazelle’s first two entries: emotion. Whiplash explores the anguish and anxiety of the push towards greatness. La La Land is a whimsical story of love and dreams. In First Man, Chazelle tries to make us feel the fractures in Armstrong’s personal life that accompany his pursuit of the greatest achievement in human history. There is no doubt that Ryan Gosling continues to be on top of his game, but Armstrong’s stoic nature comes off as cold, distant, and difficult to relate to. Perhaps this is an accurate depiction and one that the real Neil Armstrong forged out of a singular dedication to his goal, but that doesn’t come through on screen. Instead, we see a man who seems haunted by loss. To the point that he seems more comfortable in the horrifying emptiness of space than in a room full of people. This detachment replicates itself in the audience and makes most of the family drama scenes feel obligatory and like speed bumps in an otherwise engrossing story. However, First Man is by no means emotionally flatline. Claire Foy delivers a strong performance as Janet Armstrong which helps compensate for some of the aforementioned shortness of feelings. Grief and loss are delicately explored and interwoven into the story in skillful ways. The anxiety and intensity of pushing the boundaries known to man are felt with every test flight, every rocket launch, and every rattle of the spacecraft. And the tremendous courage by everyone involved in this story was as clear as the NASA patch on the spacesuit. With First Man, Damien Chazelle has broken out of his musical shell and proves himself to be one of the best directors in film today. He has created an experience that feels like the perfect combination of documentary and award-winning feature motion picture. Before First Man, the sky was the limit for Chazelle. Now, it seems like there simply is no limit for what the 33-year-old director can achieve.